The Hackney Picturehouse opened its doors on 28th October 2011 and quickly came to epitomise the regeneration (or hipsterisation, depending on your viewpoint) of London’s most dynamic borough. In the interests of transparency, I must declare an interest – I’ve been a member from the beginning, and despite some qualms I remain excited about the venue’s contribution to culture, and indeed beer, in Hackney. When the Picturehouse opened I was living in nearby Stoke Newington, which by this time had entered Shoreditch’s sphere of influence (see the aforementioned hipsterisation). As a regular at the Rio in Dalston I had reservations about getting into bed with the Picturehouse, but the arrival of a shiny new four-screen cinema with a well-stocked bar convinced me to suppress them. 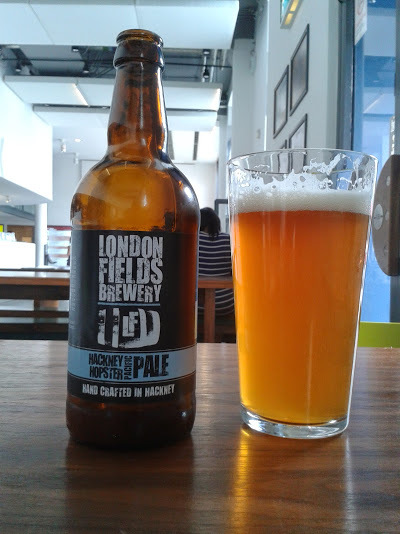 So it was on my first visit that I immediately bypassed the box office and made straight for the bar and ordered a bottle of London Fields Brewery’s Hackney Hopster. Hopster was one of the first beers from the resurgent London brewing scene that I fell for. Crisp, dry and with plenty of citrus bitterness, enjoying a Hopster at the Picturehouse became a favourite pastime. However, as the scene exploded, I grew disillusioned that the beer range at the Picturehouse didn’t keep pace, so I started smuggling my own beers in found my visits became increasingly rare. Fast forward two years and all of that has changed. Glenn Attard, whose CV includes spells at Diageo and Grand Union, was appointed new Food and Beverage Manager in May of this year, and he is a man who appreciates beer. Glenn told me that in addition to London Fields’ core range of Hopster, Love Not War and Shoreditch Triangle, the Picturehouse bar now boasts Crate Brewery’s Stout, Lager and IPA and Beavertown’s Gamma Ray, 8 Ball and Smog Rocket. 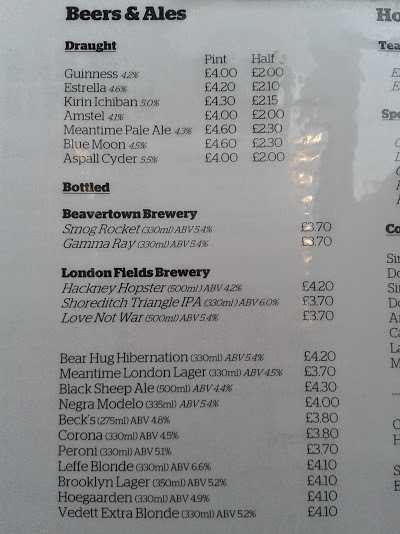 Keen to celebrate London breweries south of the river too, Bear Hug Brewing’s Hibernation IPA is also available, with the Spirit Pale Ale to follow. And even more excitingly, Glenn hinted at the prospect of regular beer tastings being held at the Hackney Attic, the Picturehouse’s upstairs event space – exciting times indeed. Talking to Glenn convinced me to pay another visit to the Picturehouse, and I did (for beer but they do films too). I’m a recent convert to the cause of canned beer but the bottle of Gamma Ray I had was everything I expect – a fruity, bitter whack in the face the moment you get within a 5-metre radius. 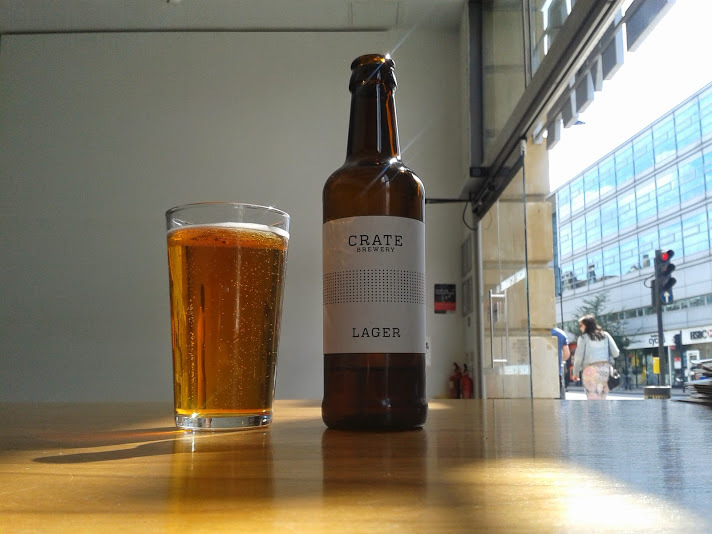 The Hopster was on form too, and the Crate lager was gorgeously thirst-quenching on what was a blisteringly hot summer’s day. With so many amazing drinking destinations nearby, if you’re in east or north London and fancy a film while scooping like a real Craft Wanker, get to Hackney. This entry was posted in Beers, Cinemas and tagged Bear Hug Brewing, Beavertown Brewery, Crate Brewery, Hackney Picturehouse, London Fields Brewery. Bookmark the permalink.